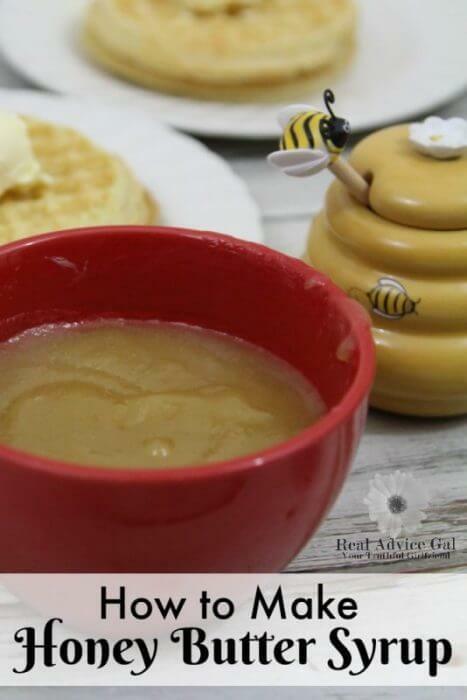 Real Advice Gal Frugal Tip: There is a great Ibotta offer on all MorningStar Farms® products at Walmart. 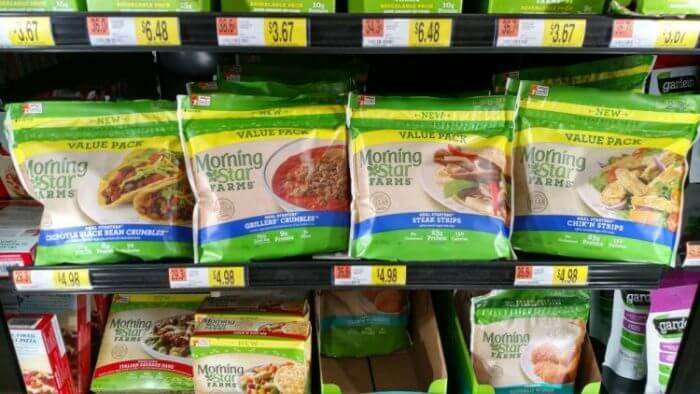 Buy any 3 MorningStar Farms® products at Walmart, earn $3. I love the smell of waffles in the morning. The anticipation of that first melt in your mouth warm bite drenched in sweet syrup. I love waffles soaked in syrup. That is until my son started reading the labels for everything he eats. It’s funny, you teach them to eat healthy and how to make good food choices but suddenly when they start practicing what you have taught them you wish they would have just left your syrup alone. 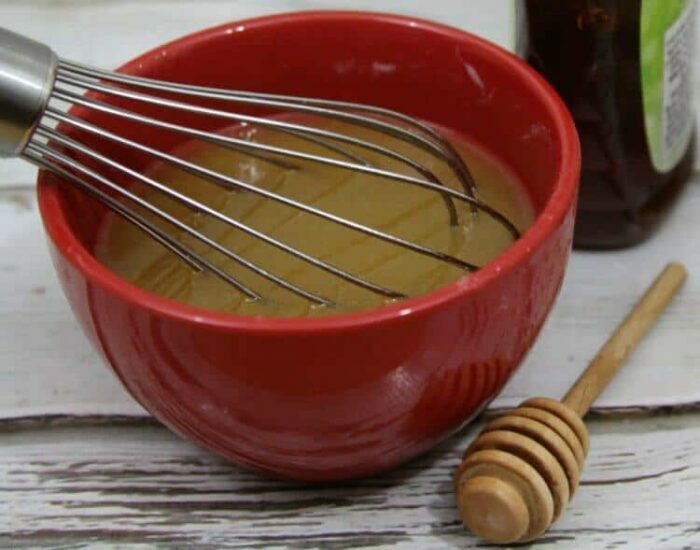 Once he started reading the label and I had to endure the lecture about high fructose corn syrup, I decided I had to give up my sweet, sticky, yummy syrup. Luckily, I did a little research and found a healthier alternative. 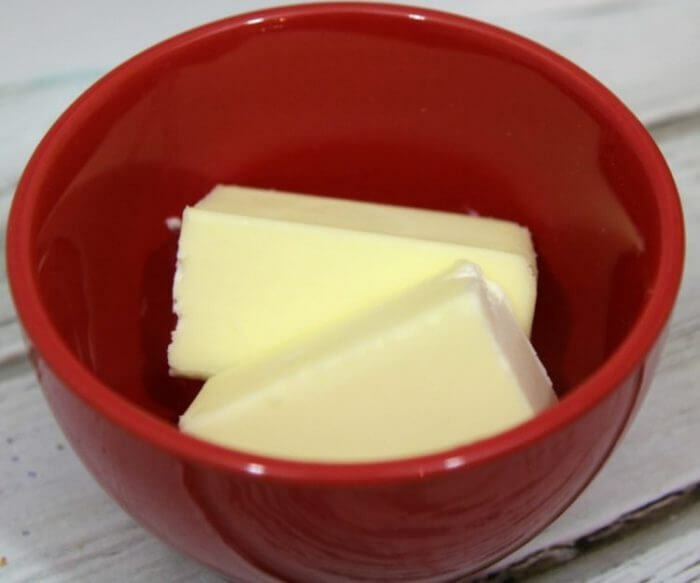 Put the butter in a microwave safe bowl and heat in the microwave until melted. The amount of time really depends on your microwave. I usually start with 30 seconds and add more time until it is melted. 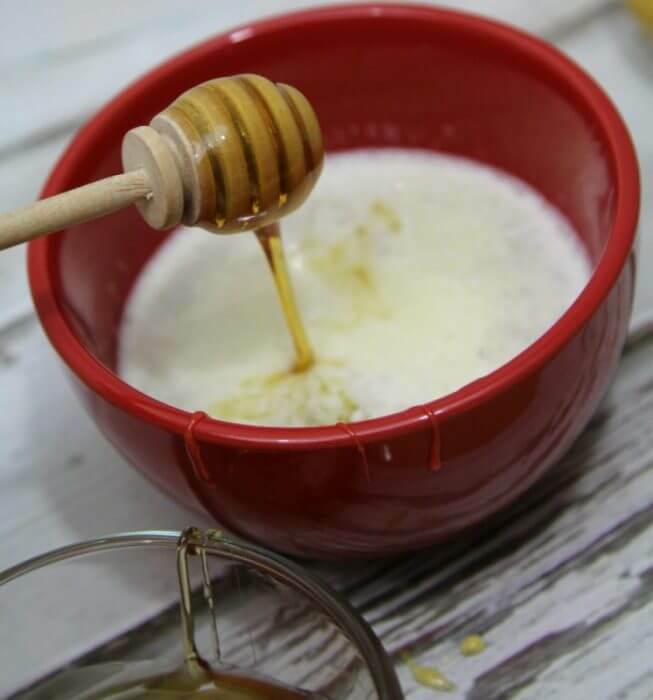 After the butter is melted, add the honey and milk and stir it until it is mixed. It will look a bit like caramel syrup and is more of the consistency of apple butter than maple syrup. You can add flavorings such as cinnamon or nutmeg if you like. Let’s get back to those waffles. 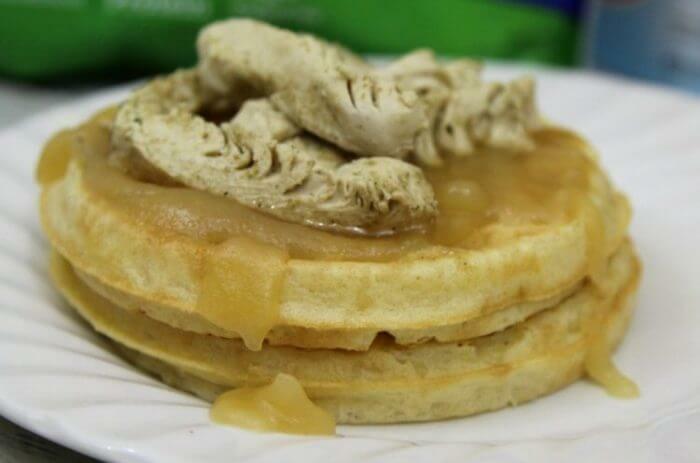 I am sure I have mentioned it more than once I am not a morning person so I have been known to buy frozen waffles. I figure, that way, I can spend more time eating the waffles rather than making them. Having lived in the south now for more than a decade, I know that when you want chicken and waffles you are going to get fried chicken with waffles and syrup. 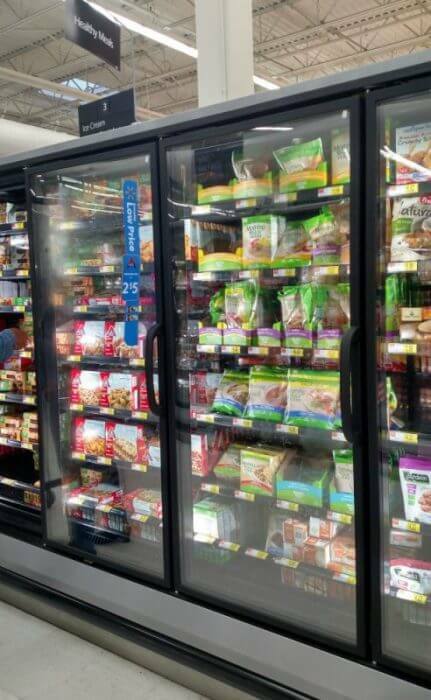 Growing up in Pennsylvania, chicken and waffles were served with gravy not syrup and the chicken was baked not fried. Since my son has become the healthier food police, I decided to make some New Year’s Vegolutions and try to incorporate more vegetables into our diets. 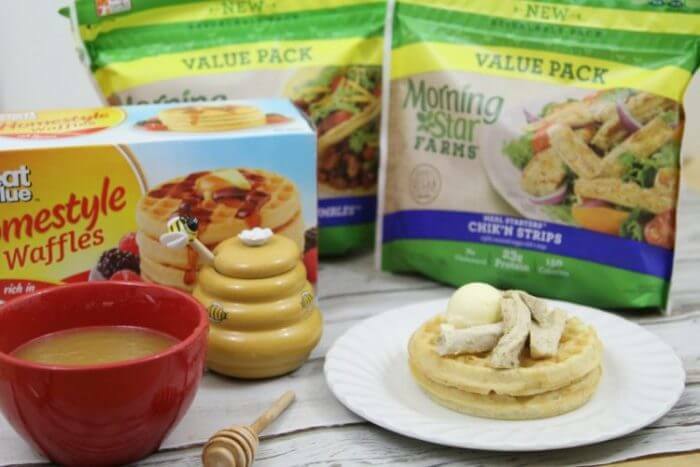 So, instead of fried chicken, I am making our chicken and waffles breakfast with MorningStar Farms® Meal Starters® Chik’n Strips. Even though, we are not vegetarians, we have tried and liked other MorningStar Farms® products so I figured why not add some veggies to our breakfast too. 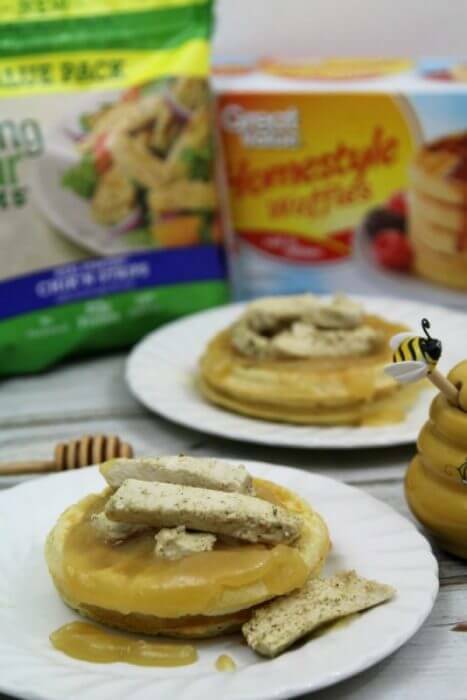 Everyone loved our new healthier chicken and waffles with homemade honey butter syrup and so I will be heading back out to Walmart so I can stock up. Luckily, there is a Buy any 3 MorningStar Farms® products at Walmart, earn $3 Ibotta deal going on right now. Do you have a creative way to stick to your Vegolutions? 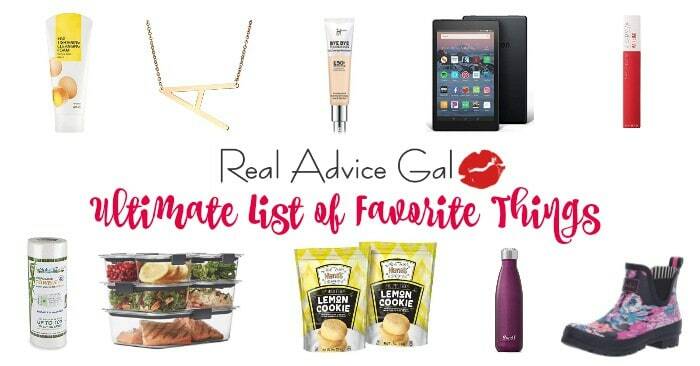 I would love to hear how you are eating healthier.